Saying sorry doesn’t come easily to most people. It’s a word that so often gets stuck in the throat of politicians and business people, and you don’t even want to ask for a lawyer’s opinion on the matter! Why don’t we like to say sorry? None of us get it right all of the time and the old refrain ‘you’re only human’ reflects this. There are obvious reasons for trying to avoid apologising, such as fear of rejection or admitting that you’re wrong (or legally culpable), but in recent times there has been something of a shift in this perception. The harnessing power of social media can quickly bring a sweeping backlash and those individuals and companies that have failed to recant for a wrong have quite literally been hauled over the coals to the detriment of their reputation. Amber Rudd is the latest politician to get into trouble over the ‘S’ word. Had she been quicker to react, put a hand up and apologised, she may have saved herself. Unfortunately instead she rolled out an embarrassing string of politician’s non-apologies that only stoked public frustration as further details emerged. She has gone, but one has the feeling that Windrush may not have gone with her and the toxic phrase ‘Hostile Environment’ may well linger around the Prime Minister as it was a policy conceived on her watch. 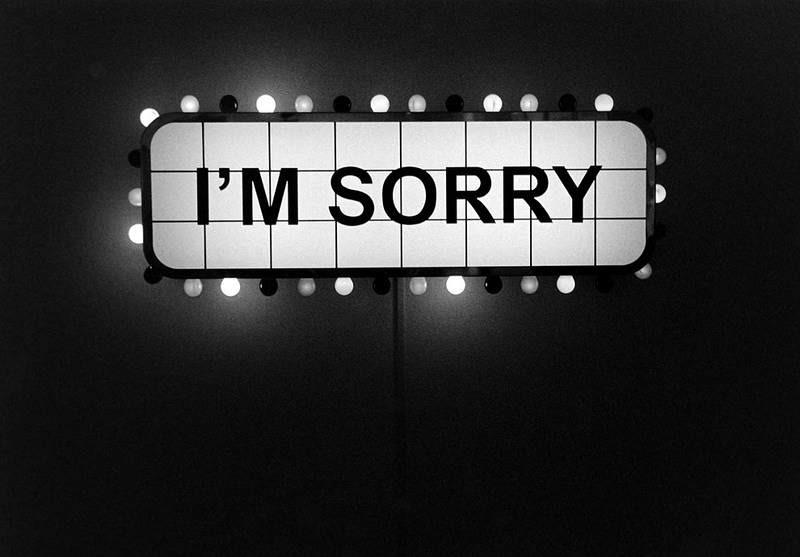 Politicians are prone to fluffing the apology line, but businesses frequently get it badly wrong too. The stand out non-apology of last year followed that United Airlines video and by the time the company had got its sorry papers in order it had lost $1 billion off its stock value. Last month it was very quick to confess after a dog died after being stowed in an overhead locker (and no, this headline was not dated April 1st, although I did have to check). Of course every eight year old knows that sorry isn’t good enough unless you really mean it. On this point enter serial apologist Mark Zuckerberg. As man in tune with the zeitgeist, he and his advisers are in no doubt about the potential of a non-apology to cause public outrage. As a result Mr Zuckerberg has gained a reputation for wielding the ‘S’ word a little too freely. It may have worked once or twice, but in the light of the recent revelations about data privacy, just saying sorry was deemed no longer enough as withering headlines in the US press (“Mark Zuckerberg’s Apology Tour” and “Facebook CEO Mark Zuckerberg has apologized — again“) attested. Authenticity is a theme I have discussed before and it is in this vein that being able to say sorry sincerely scores points. In this respect the perfect corporate apology blueprint was provided by budget airline Jet Blue in 2007. Its founder took to letter and video to atone for an operational breakdown that left thousands of passengers stranded by finding the right blend of honesty and humility. Saying sorry is hard. Not saying sorry is disastrous. Saying sorry sincerely on the other hand can save a reputation. Does Sport Need More Personality? Have we forgotten how to listen?